The Daily Baguette: Mmmmmore Food! 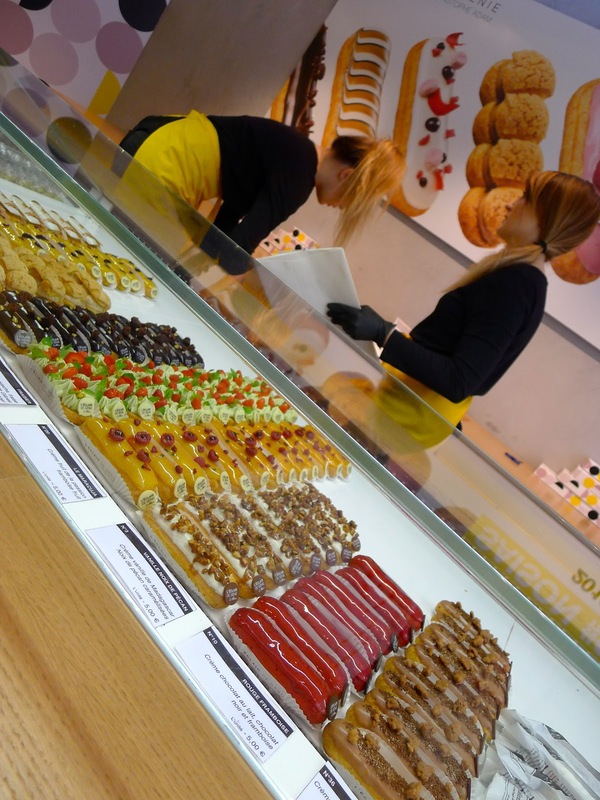 What's not to love about a city that can open a concept shop for just eclairs! Little works of art by Christophe Adam at just 4.50 euros each. This was my choice with its truly scrumptious caramel beurre sal flavour. It was the BEST eclair I have ever eaten and I justified it by not taking the elevator to my photography class and climbed the six flights of stairs instead - is that how it works Michelle Bridges ?! Michelle Bridges is over rated......eat eat eat!!! Comme a Lisbonne in Paris - especially for Sarah!